Below is a brief overview of some of our staff members. Not all areas of expertise are identified. If you don’t see the area you are concerned with, call us and we will connect you with the therapist that best fits you. For a brief explanation of our licensing process and levels, click here. 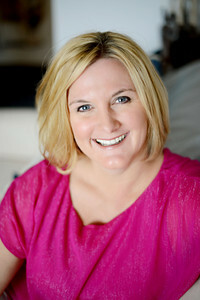 Carrie is the Director and one of the founders of Cross Creek Family Counseling, Incorporated. After ten years with the California state legislature, Carrie decided to go back to school for her Master’s and work with families where abuse had occurred. She is a licensed therapist whose area of expertise includes recovered addicts working on their childhood traumas. Additionally, another area of expertise for Carrie is pain management and all that entails: acknowledging physical pain, how it effects emotions, lifestyle, relationships. Through personal experience and extensive training, Carrie will help you control your pain rather than your pain controlling you. Carrie works well with personality disorders and those that love them; if your partner, boss, or parent is a charming narcissist or a drama/chaos creator you may want to work with Carrie. She does do some of the clinical supervision for our intern therapists and the administrative end of things, so her availability is limited, but if you feel she is the best fit for your concerns we’ll make it work. Carrie also conducts Sandtray training for individual or small groups of therapists. Tanya is the Treatment Coordinator for Cross Creek Family Counseling. Tanya holds a Master’s Degree in Clinical Psychology and in January passed her licensing exams. 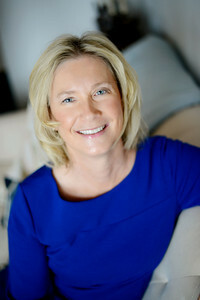 She has extensive experience working with parent  teen conflict. Especially when these conflicts occur in faith based families. Tanya has specialized training dealing with trauma recovery, substances abuse recovery and issues relevant to infertility, family planning and adoption. Tanya works well with individuals and couples. She has recently come to a deeper appreciation of art therapy, so don’t be surprised to find yourself painting or drawing while on your therapeutic path. Barbara is one of the founders of Cross Creek Family Counseling. She is a licensed therapist who especially enjoys working with teens and their parents. Barbara has specialized training in hypnosis, ego states, recovery from interfamily molestation and personality disorders. Barbara works with couple's, interweaving individual therapy with couples sessions, which we believe really improves communication and understanding between two people. Barbara can help you address panic attacks, social fears and anger management. Barbara now has a private practice serving the Grass Valley - Nevada City area. Our goal is to provide you with the best therapy possible at an affordable price. We recruit only the best candidates for licensure from the hundreds of interns registered with the BBS. To become an intern your have to have completed a BA/BS and a Master's degree, plus several hundred hours of training in therapeutic interventions. Once you are registered with the BBS, a counselor can work with a variety of clients while getting clinical supervision with a licensed therapist. Graduate Students, B.A., M.A. in progress, When an individual decides to become a therapist they face a long road. You must have a BA/BS degree and then spend close to two more years in school for your Master's degree. At Cross Creek, we have established close ties with the best graduate schools in Sacramento. Our Grad Students are referred to us by their professors; practitioners giving back by teaching. When they see someone with that extra special style or ability to connect they know their students will be welcome, and their natural abilities enhanced, by working at Cross Creek. By utilizing grad students we can expand our goal of providing you with the best therapy possible at an affordable price. A graduate student counselor can work with a variety of clients while getting clinical supervision with a licensed therapist. When you choose an intern or a grad student as your counselor you are getting two therapists for less money! Yes they are in training, but at Cross Creek, Carrie and the other licensed supervisors get to know every client and are always available to aid any client who may have questions or concerns. Our interview process is rigorous and only the best interns and grad students are hired to counsel you.